If you want to get into ereading but don’t want to spend a lot of money, there’s one ebook reader that stands above the rest in the sub-$100 price range. The best entry-level ebook reader to start 2019 is the Kobo Aura for $99 from Walmart. It’s by far and away a better option than the entry-level Kindle that sells for $79, which is really $99 once you pay to remove the obnoxious ads. Amazon shouldn’t even be selling the entry-level $79 Kindle anymore. With no frontlight and a low resolution Pearl screen that was released in 2010 (literally), the $79 Kindle is a disgrace to the ereading community. Amazon should be ashamed to sell such an outdated piece of hardware in 2019. For the same price as the Kindle without ads, the Kobo Aura has a higher resolution E Ink Carta screen with better contrast and a frontlight. The frontlight alone makes the Kobo the superior option, but the screen is better all around. 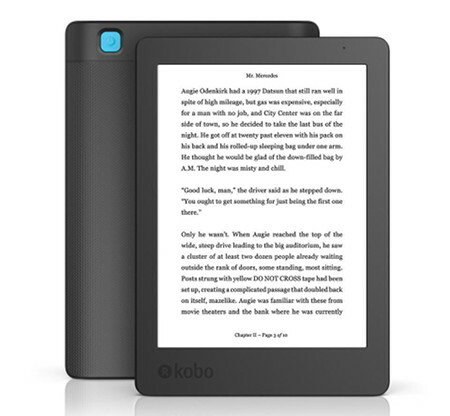 The Kobo Aura can also download ebooks from public libraries directly without having to use Adobe Digital Editions or another device to borrow an ebook. It’s very convenient. There are a couple of Android ereaders for under $100, like the Inkbook Lumos, but the outdated software is too basic and too buggy to be worth the trouble. So until Amazon finally decides to release a new entry-level model without a low-end screen from 10 years ago that other companies stopped using a half decade ago, the Kobo Aura Edition 2 is easily the best entry-level ebook reader on the market. While I agree that the Kindle Basic should have a Carta screen instead of the Pearl one (I’m hoping that a hypothetical “new” Basic has a Carta screen, don’t care about front light) the Kindle Basic has other advantages, not mentioned. It has a superior dictionary. A more responsive touch screen (much easier to highlight). X-Ray. Easy to access notes and highlights. Built-in book borrowing (on Amazon). You can also borrow directly from Overdrive (in the U.S.) if you have the patience to work with the slow experimental browser. (Much easier to borrow with a smartphone and then download directly to the Kindle, however.) And don’t discount the 20% lower price. The advertising is basically the screen saver and easily ignored, which is what I do. One other sub-$100 eReader not mentioned is the Tolino Page. These do have Carta screens — same resolution as the Kindle Basic, but the Carta screen makes a big difference. These can be purchased from a German retailer for free shipment to the United States for $65. They have ADE built-in, so you can borrow from Overdrive directly to the Page (again, if you have the patience to use the built-in eInk web browser). I borrow from Overdrive directly to my Tolinos regularly. No offense, but “If you want to get into ereading but don’t want to spend a lot of money,” you can just download the Kindle / Nook / Kobo app to the smartphone that the PEW research center tells us 77% of Americans nad 65% of Europeans own. If that floats your boat, you can continue on to the ereading ecosystem of your choice. If you don’t read that much, it might just be that your smartphone is the cost effective choice. I didn’t read much until I had a Kindle. I don’t like reading on the phone and would occasionally read paper,but not much. There was literally a 20 golf increase in the amount of reading I do after I discovered eink. No, the Paperwhite 4 is a much better value at $99. The Kobo Aura is basically equivalent to the Paperwhite 2 hardware-wise. But even with the sale, the Paperwhite 4 is really more like $120 once you pay to remove the ads. The stupid special offers always make the price seem better than it really is. I wish they would do away with ads entirely. Having to swipe the screen every single time to get past the ads when you turn it on gets extremely annoying after awhile, especially when you pay a premium for one of Amazon’s sleepcovers. I don’t know how people put up that nonesense day after day, year after year. The basic model is horrid without the front light. I returned mine. I have the Aura Walmart and is even better than paperwhite. Books are auto sorted into collections by author which I wish Amazon would do and I love the easy ebook lending. You dont need to go to a PC which is fantastic.